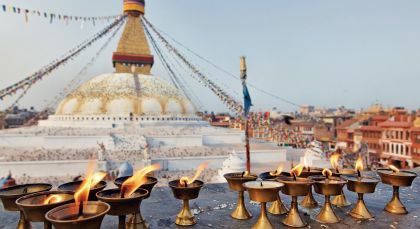 From its lofty mountains to its warm people, Nepal is yours to discover! 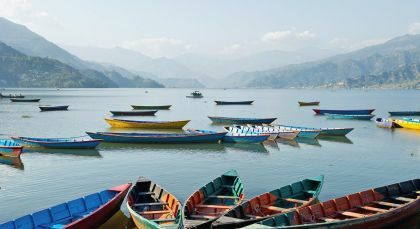 Home to enchanting UNESCO World Heritage sites, give in to Kathmandu’s mesmeric charm before you tackle lofty heights at Pokhara. 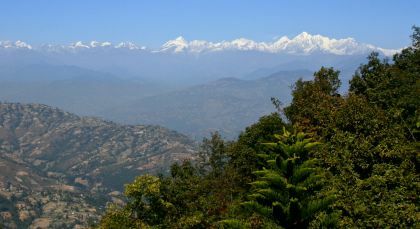 In Chitwan, befriend a herd of elephants or laze by the Rapti, and soak in the undiscovered, tranquil charm of Dhulikhel. 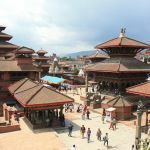 Your Nepal tour offers impressions that will last a lifetime! Explore the World Heritage Site of the Royal Chitwan National Park – one of the last remaining virgin Terai regions that once stretched across the length of the Himalayan foothills of India and Nepal. Day 1: Arrive at the Bharatpur Airport and drive down to Chitwan. Enjoy lunch at your hotel before taking an elephant safari ride/Jeep Safari into the thick forests of the National Park. Spend your afternoon tracking the park’s Big Five, including the endangered one-horned Asiatic rhinoceros, the Royal Bengal tiger, the leopard, the Asian elephant, and the Himalayan sloth bear. Return from your afternoon safari to enjoy a slideshow on the wildlife heritage of the Park, followed by dinner. Day 2: After breakfast, take a jeep safari in the company of your local forest guide. Ride into the dense jungles with its tall elephant grass and marshland—the perfect territory for the Park’s resident wildlife population. Chitwan is home to a huge and varied population of birds and gharials (crocodiles) too. 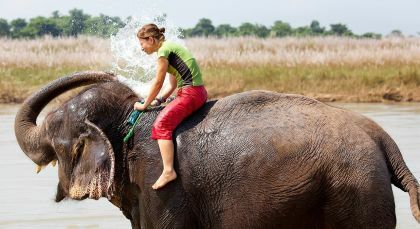 End your morning with a rewarding session spent bathing domestic elephants and learning about elephant conservation in Nepal. Return for lunch, before heading off for an adventurous canoe ride along the Rapti River, accompanied by your guide. In the evening, enjoy a cultural evening with a traditional Tharu dance performance, followed by dinner. In case you feel adventurous enough to stay back for a third night, you could choose to take a full day safari. If you’re lucky, your naturalist guide could also arrange for a safe nature walk through the Park. (2 Days; Private Activity & Transfers; Note: The park is closed for jeep safaris during monsoon from June to September until reopening of the rough tracks til mid-October; during closure, jeep safaris take place along the forests of the northern border; elephant safaris might not be organized by some hotels, such as Tharu Safari). Enchanting Travels provided peace of mind for both myself and my daughter who was traveling internationally by herself. The accommodations booked were perfect. The Trip Coordinator was personable, patient, flexible and available through the entirety of the trip. From booking through trip completion, the experience was amazing. I would absolutely choose Enchanting Travels again!